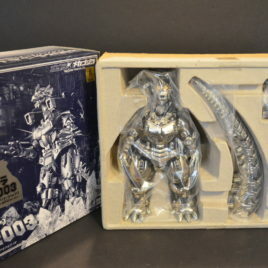 GD-76 GIGAN 2005 DIECAST! 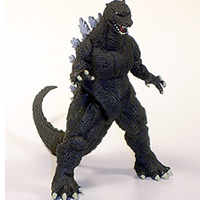 Once again Bandai experience and skill has producted a magnificently detailed die-cast of one of Toho's famous monsters. 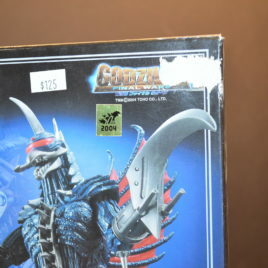 A combination of vinyl, plastic and metal, Gigan is articulated and pose-able. 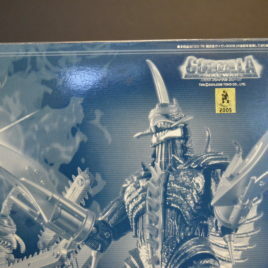 With three different heads, it transforms from regular Gigan to "Powered up" Gigan to FLYING Gigan. 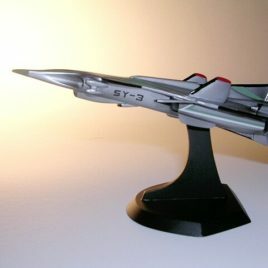 Stands approximately 7 inches tall. COMES MINT IN Near Mint BOX which means a little shelf wear.